Why, that's the story of my life--no respect; I mean, I don't get no respect at all! Because Dangerfield's signature style is to be self-demeaning, many jokes of this type by other comedians are wrongly attributed to Dangerfield. Actually originated with Henny Youngman.. 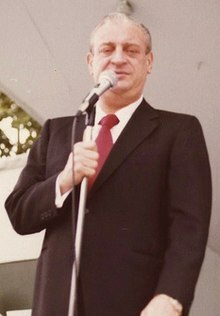 The Official Rodney Dangerfield Site. Interview with Sam Esmail on esmail.com. This page was last edited on 21 February 2019, at 14:15.